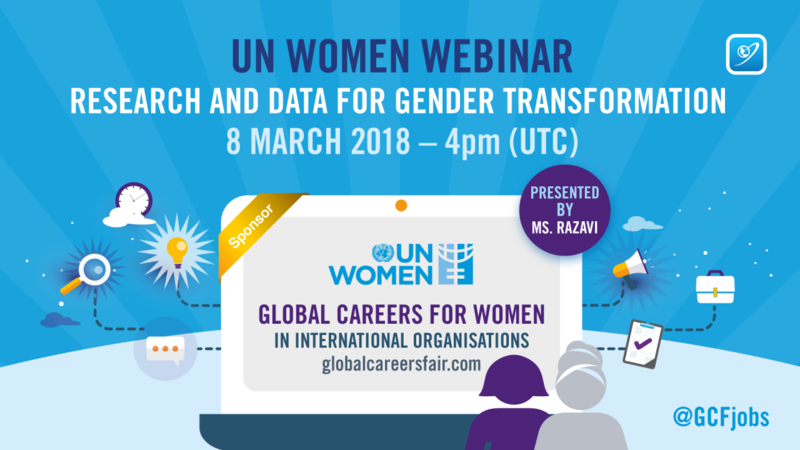 In this presentation, Ms. Shahrashoub Razavi, UN Women Chief for Research and Data Section, will introduce the work of UN Women – its triple mandate, five priority areas, and the global presence. In particular, Ms. Razavi will talk about UN Women’s work on research and data, and how it supports to transform gender equality and women’s rights. Please contact us if your organisation is interested in running a webinar, careers event, or would like us to promote your vacancies.